Notts County's Second Division play-off winners 1990-91. Keith Curle, 20.2.2012-5.2.2013. Martin Allen 11 Apr, 2011 - 19 Feb, 2012, Paul Ince 27 Oct, 2010 - 03 Apr, 2011, Craig Short 04-06-2010 24-10-2010, Steve Cotterill 23-02-2010 27-05-2010, Dave Kevan 15-12-2009 22-02-2010, Hans Backe 12-10-2009 15-12-2009, Ian McParland 16-10-2007 12-10-2009, Steve Thompson 12-06-2006 16-10-2007, Gudjon Thordarson 17-05-2005 12-06-2006, Ian Richardson 04-11-2004 17-05-2005, Gary Mills 07-01-2004 04-11-2004, Bill Dearden 07-01-2002 07-01-2004, Gary Brazil 10-10-2001 07-01-2002, Jocky Scott 28-06-2000 10-10-2001, Sam Allardyce 16-01-1997 14-10-1999, Colin Murphy 05-06-1995 23-12-1996, Steve Nicol 20-01-1995 05-06-1995, Howard Kendall 12-01-1995 01-04-1995, Russell Slade 15-09-1994 12-01-1995, Mick Walker 14-01-1993 14-09-1994, Neil Warnock 05-01-1989 14-01-1993, John Barnwell 07-06-1987 02-12-1988, Jimmy Sirrel 01-05-1985 31-05-1987, Richie Barker 05-11-1984 19-04-1985, Larry Lloyd 07-07-1983 21-10-1984, Howard Wilkinson 01-07-1982 30-06-1983, Jimmy Sirrel 05-10-1978 01-07-1982, Ron Fenton 01-11-1975 05-10-1977, Jimmy Sirrel 01-11-1969 15-10-1975, Billy Gray 01-09-1967 01-09-1968, Andy Beattie 01-02-1967 01-09-1967, Jack Burkitt 01-04-1966 01-02-1967, Tim Coleman 01-04-1965 31-03-1966, Eddie Lowe 01-07-1963 01-04-1965, Tim Coleman 01-11-1961 01-07-1963, Frank Hill 01-10-1958 01-11-1961, Tommy Lawton 01-05-1957 01-07-1958, George Poyser 01-10-1953 01-01-1957, Eric Houghton 01-04-1949 01-08-1953, Arthur Stollery 01-06-1946 01-02-1949, Frank Buckley 01-08-1944 01-06-1946, Frank Womack 01-08-1942 31-05-1943, Tony Towers 01-07-1939 31-05-1942, Harry Parkes 01-01-1938 01-07-1939, Jimmy McMullan 01-11-1936 31-12-1937, Percy Smith 01-06-1935 31-10-1936, David Pratt 01-04-1935 01-06-1935, Charlie Jones 01-05-1934 01-12-1935, Horace Henshall 01-08-1927 01-05-1934, Albert Fisher 01-08-1913 31-05-1927, Tom Harris 01-08-1893 31-05-1913, Tom Featherstone 01-01-1893 31-05-1893 ja Edwin Browne 01-08-1883 31-05-1893. Notts County ~ "Second Division winners". 1. Craig Finch: A midfielder who now lives in Southampton and works in sales and marketing. 2. Shaun Browne: Now believed to be living in Australia. 3. Paul Cox: A defender who managed Eastwood Town for seven years, then Mansfield Town, Torquay United and now Barrow. 4. Don O’Riorden: A midfielder who stayed in the game with a host of management and coaching posts. Now lives in Galway and coaches Moneenaghesia College Academy. 5. Richard Walker: A centre-half who sold cars in Nottingham with Toyota and Lexus and is business development manager at Inchcape Mercedes Benz. 6. Mark Telford: Back living in the North East and has coached at Whitley Bay Juniors. 7. Anthony Thompson: A left-back now living and working in his native Mansfield. 8. 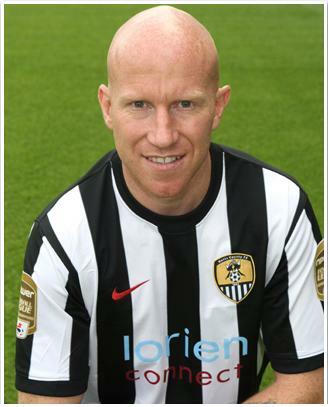 Steve Aldridge: A midfielder who lives in Gedling, Notts, and has worked as a buyer for a management company. 9. Mark Wells: Winger who settled near Scarborough and works locally. 10. Mick Jones: Entered management in 1976 and was with Warnock at a host of clubs. 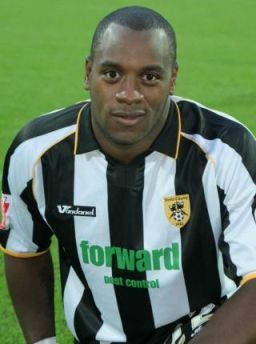 He had a second spell at Notts County under Chris Kiwomya. 11. Phil Stant: A striker and Falklands War veteran who managed Lincoln City, Gainsborough Trinity and Ilkeston, and then worked for the Football League Trust. 12. Charlie Palmer: A right-back who has managed Long Eton United and Belper Town while employed as a social worker. 13. Dean Yates: A defender who lives in Barton Joyce, Nottingham, and has commentated for BBC Radio Nottingham and been the first team defensive coach at Meadow Lane. 14. Steve Cherry: The keeper was goalkeeping coach at Lincoln City, Notts County and Macclesfield Town, then spent 18 years working for Imperial Tobacco in Nottingham. 15. Kevin Blackwell: A goalkeeper who managed Leeds United, Luton Town, Sheffield United and Bury, before becoming technical director at Crystal Palace. Now assistant manager to Warnock at Cardiff City. 16. Craig Short: Defender who had a sailing business on Windermere before managing County and Ferencváros, Now coaching at Derby’s academy. 17. Gary Lund: A forward who opened his own estate agency in 1994 and is now the managing director at Royston & Lund estate agents in Nottingham. 18. Nicky Platnauer: A left-back who managed Rothwell Town, Kettering Town and Bedford Town, then became a postman in his native Leicester. 19. Dave Wilson: The physio worked under Warnock at a number of clubs and then went into private practice. 20. Phil Robinson: A midfielder who was the former head of academy recruitment at Birmingham, then became chief scout at Aston Villa. Is now a recruitment manager at Manchester City. 21. Dave Norton: A midfielder who managed Forest Green Rovers, Gainsborough Trinity and Grantham Town. Now runs a coaching firm, DNF Coaching. 22. 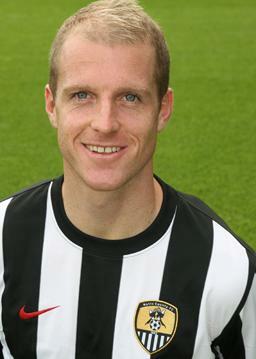 Tommy Johnson: A striker who coached at Meadow Lane before working with the Irish Football Association. He is now Blackburn Rovers’ chief scout. 23. Phil Turner: A midfielder who worked in community care in Derbyshire and has been assistant manager of Grantham Town. 24. Derek Pavis: Now life president at Meadow Lane. 25. Neil Warnock: He’s been in management since 1980 and is currently in charge of Cardiff City. 26. Mark Draper: A midfielder who went into property development and has worked in Notts County’s academy, as well as Stoke City’s. He now runs DNF Coaching with Dave Norton. 27. Kevin Bartlett: A forward who worked in the voluntary sector before becoming an employment and skills officer for Nottingham City Council. 28. Dean Thomas: A midfielder who managed Bedworth, Hinckley and Kettering and has worked in timber sales in Wolverhampton. 29. Gary Chapman: A striker who coached at Leeds United and Blackburn Rovers and then worked as recruitment manager for Norwegian side VIF. Mainittakoon, että yllä olevassa joukkuekuvassa mukana oleva (numero 28) Dean Thomas pelasi Suomessa Ilveksen miehistössä kesät 1982 ja 1983. Pidin häntä silloin näkemäni perusteella yhtenä parhaimmista Suomessa koskaan pelanneista brittivieraista. Hänen uransa seuroja: 1980-81 Nuneaton, 1981-84 Wimbledon, 1984-86 Aachen (Saksa), 1985-87 Düsseldorf (Saksa), 1988-90 Northampton ja 1989-1994 Notts County. Dean Thomas ~ kuvattuna Notts Countyn riveissä kaudella 1991-92 keräilykorttisarjassa. 2008-09 : League Two (neljäs sarjataso). Notts County League Two-liigassa 19. sijalla. Urheilukanava esitti 30.11.2008 (Tero Karhun selostamana) F.A. Cupin toisen kierroksen ottelun Notts County-Kettering (viides sarjataso). Ottelu päättyi tasapeliin 1-1. Notts Countyn tasoitusmaalin teki Canham. Notts Countin managerina toimi Ian McParland. Notts Co: Hoult, Hunt, Edwards, Thompson, Clapham, Wedderburn, Butcher (Smith, 27 (Strachan, 82 )) , Neal (Weston, 60 ) , Forrester, Canham ja Facey. Vaihtopenkillä: Pilkington, Mayo, Weir-Daley ja Nowland. Uusintaottelu pelattiin 10.12.2008 Ketteringin kotikentällä ja Notts County hävisi 1-2. 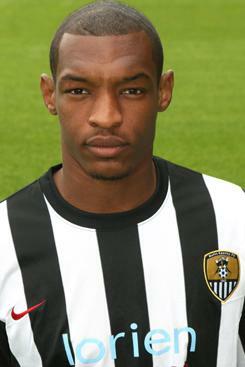 Notts Countyn maalin teki Jay Smith. Notts Co: Hoult, Thompson, Edwards, Hunt, Clapham, Hamshaw ( Weir-Daley, 82 ) , Smith, Wedderburn, Weston, Facey ja Canham ( Forrester, 72 ). Vaihtopenkillä: Pilkington, Mayo, Johnson, Strachan ja Nowland. Notts Countyn kovaluinen kärkimies Delroy Facey. 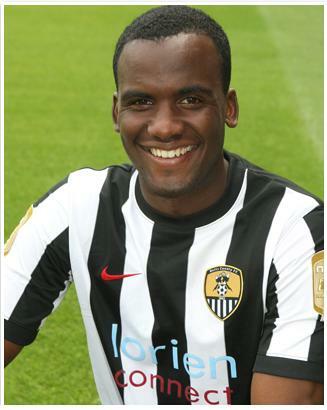 Delroy Facey (s. 22.4.1980) pelasi Notts County-paidassa kaksi kautta: 1.7.08-30.6.2010. Hän tuli mustavalkopaitaan Gillinghamista. Sitä ennen hän oli vaihtelevalla urallaan ehtinyt edustaa sopimus- ja lainapelaajana kaikkiaan jo kymmentä eri seuraa. Vahvana jässikkänä Facey tunnetaan yhä 'kovis'-maineestaan, mutta pelitaidot eivät kulttiasemaa vastanneet valitettavasti lainkaan. Huippuvaihe Faceyn uralla oli kausi 2003-04, jolloin hän teki kaksi maalia Boltonille valioliigassa. Delroy Facey siirtyi 16.7.2010 Notts Countysta (lainakäynnin jälkeen) Lincolniin. Kauden 2011-12 Delroy Facey pelasi vielä Herefordissa. 2009-10 : League Two (neljäs sarjataso). Manageri Ian McParland lähti joulukuun 12. päivä 2009. Häntä seurasivat: Hans Backe 12-10-2009 15-12-2009, Dave Kevan 15-12-2009 22-02-2010 ja Steve Cotterill 23-02-2010 27-05-2010. Kauden päätteeksi Notts County voitti nelosliigan ja nousi seuraavalle kaudelle kolmoseen. Urheilukanava esitti 23.1.2010 (Tero Karhu) F.A.Cupin alkukierrosten ottelun Notts County-Wigan. Kotijoukkue oli neljännellä sarjatasolla ja pelin aikoihin seuran pomomies Sven Eriksson oli talousvaikeuksista huolimatta julkistanut oman viisivuotissuunnitelmansa - NottsC nousee viidessä kaudessa Valioliigaan ja siitä eteenpäin Championsliigaan. Verorästien maksuun oli kuitenkin vain viikko aikaa, joten rahoittajapuoli ei ehkä ollut sittenkään kesäisiä lupauksiaan pitänyt. Itse pelissä Wigan pelasi räikeissä oranssipinkkipaidoissaan luvattoman huonosti ensimmäisen jakson. Notts County johti tauolla jo 2-0. Maaleista vastasivat ikinuori Lee Hughes (26min) ja Ben Davies (41min). Toisella jaksolla Wigan sentään hiukan ryhdistäytyi ja selvisi Jason Scotlandin ja vaihtomies Bob Walkerin maaleilla tasapeliin. Uusintaottelu pelattiin Wiganin kotikentällä 2.2.2010 - ja liigamiehistö koki yllättäen 0-2 kotitappion nelosdivarin miehille. Televisioidussa ensimmäisessä osa-ottelussa (23.1.2010) NottsC pelasi seuraavassa kokoonpanossa: K Schmeichel (G) 23, G Lee (D) 5, J Thompson (D) 6, S Hunt (D) 18 (67), R Ravenhill (M) 8, N Bishop (M) 10, B Davies (M) 11, J Clapham (M) 17, J Jackson (M) 21, L Hughes (F) 9 (84), C Westcarr (F) 20. Vaihtomiehet: R Hoult (G) 1, M Edwards (D) 4, M Hamshaw (M) 7 (84), K Hawley (F) 15, B Fairclough (F) 16 (67), L Rodgers (F) 19 A Akinbiyi (F) 30. Cupin seuraavalla kierroksella 14.2.2010 NottsC hävisi vieraissa Fulhamille tylysti 4-0. 2010-11 : League One (kolmas sarjataso). Notts County nousijana kolmannella sarjatasolla - sijoitus 19/24. Notts Countyn joukkuekuva kaudella 2010-11. Kirjoitushetkellä 18.12.2010 oli League One-sarjan kärki seuraava: 1) Brighton (19) 36p, 2) SheffW (21) 33p, 3) Huddersfield (19) 32p, 4) Charlton (19) 32p, 5) Bournemouth (19) 30p ja 6) Colchester (19) 30p. Notts Countyn kausi kolmannella sarjatasolla ei alkanut hyvin, kirjoitushetkellä (25.12.2010) sijoitus oli vasta yhdeksästoista. Manageri Craig Short sai lähteä 24.10.2010 ja kolmen vuorokauden kuluttua hänet korvasi maineikas Paul Ince. Apulaismanagerina hänellä on Alex Rae. Paul Ince Notts Countyn manageriksi (27.10.2010). Paul Ince syrjäytti 27.10.2010 NottsC:n managerina Craig Shortin. 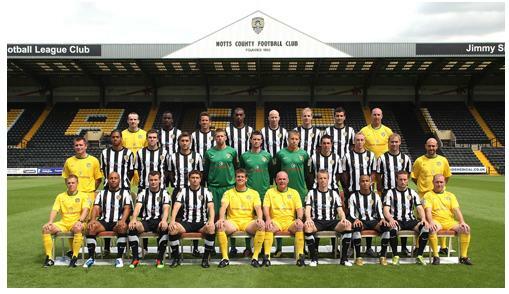 Notts Countyn pelaajat (25.12.2010): 1 Rob Burch (G), 17 Stuart Nelson (G), 23 David Grof (G), 0 Jamie O Connell (D), 4 Mike Edwards (D), 5 Graeme Lee (D), 6 John Thompson (D), 7 Kevin Smith (F), 8 Ricky Ravenhill (M), 9 Lee Hughes (F), 10 Neil Bishop (M) , 11 Ben Davies (M), 12 Krystian Pearce (D), 14 Liam Chilvers (D), 15 Karl Hawley (F), 18 Stephen Hunt (D), 19 Luke Rodgers (F), 20 Craig Westcarr (F), 25 John Spicer (M), 26 Jon Harley (D), 27 Ben Burgess (F), 28 Sam Sodje (D), 42 Lewis Whiteley (M) ja 45 Nathan Fox (D). 21 Jake Jervis (F) Birmingham, 16 Luke Hubbins (M) Birmingham, 22 Alan Judge (M) Blackburn, 24 Thomas Ince (M) Liverpool, 2 Stephen Darby (D) Liverpool, 29 Lee Miller (F) Middlesbro ja 30 Michael Woods (M) from Chelsea. Kirjoitushetkellä viimeisin Notts Countyn ottelu oli ollut 14.12.2010 pelattu F.A.Cupin toisen kierroksen ottelu NottsC-Bournemouth, missä kotijoukkue voitti Bournemouthin 3-1. Notts Co: Burch, Edwards, Harley, Darby, Pearce, Ravenhill (Woods, 3 ) , Bishop, Davies, Hughes (Miller, 69 ) , Westcarr ja Ince (Hunt, 85 ). Vaihtopenkillä: Thompson, Spicer, Nelson ja Burgess. Notts Countyn parhaat maalintekijät toistaiseksi (25.12.2010) kaudella 2010-11: (vas) Craig Westcarr (7 maalia) ja Lee Hughes (6 maalia). (4Pro2, 30.1.2011): F.A.Cup, 4. kierros: Notts C-ManCity 1-1 (0-0). Maalit: 1-0 Bishop (59min) ja 1-1 Dzeko (80min). Notts Co: mv. Stuart Nelson, Mike Edwards, Jon Harley, Stephen Darby, Krystian Pearce, Ricky Ravenhill, Neal Bishop, David Martin, Lee Hughes, Craig Westcarr ja Alan Gow (Karl Hawley, 70 ). Vaihtomiehet: mv. Rob Burch, John Thompson, John Spicer, Lews Gobern, Graeme Lee ja Ben Burgess (manageri: Paul Ince). Notts County oli lähellä jättiyllätyksen tekemistä. Miljonääriseura ManC oli pitkään hätää kärsimässä Paul Incen kolmannen sarjatason miehistön kanssa. Paniikkikin meinasi Manchester-miehiin iskeä, kun Neil Bishop siirsi kotijoukkueen johtoon 59. minuutin kohdalla. Bosnialaisvahvistus Dzeko teki kuitenkin 80. minuutilla ensimmäisen maalinsa vaaleansinisissä ja peli päättyi lukemiin 1-1. Notts Countyn miehistössä pelasivat lainamiehet Stephen Darby (Liverpool) ja David Martin (Derby). Kärjessä vanhaherra Lee Hughes (34v) on entisestään pyylevöitynyt ja hidastunut (mikä häntä muutamissa juoksupalloissa itseäänkin tuntui naurattavan), mutta silti hän on Incen luottamuksen arvoinen pallonhallintataidollaan ja vaistomaisella maalivainullaan. Liigakolmosessa Notts County on edelleen vasta 18. sijalla, joten liigapuolella Ince keskittynee enää vain sarjapaikan säilyttämiseen. ManC-uusintavierailu on pelkkää bonusta arkiseen aherrukseen. Vasemmalla: (k) Neal Bishop (Englanti) ja (p) Krystian Pearce (Englanti). Martin Allen Notts Countyn manageriksi (11.4.2011) Paul Incen seuraajaksi . 2011-12 : League One (kolmas sarjataso). Notts County nousijana kolmannella sarjatasolla - sijoitus 7/24. Keith Curle Notts Countyn manageriksi (20.2.2012) ~ Martin Allen sai potkut . Pelaajana Keith Curle muistetaan Wimbledonin ja ManC:n takalinjoilta. NottsC:n manageriksi 20.2.2012. 2012-13 : League One (kolmas sarjataso). Notts County kolmatta kautta peräkkäin kolmannella sarjatasolla (League One). (JJ - 19.12.2012): Keith Curlen manageroimasta Notts Countyn miehistöstä havaintoja syyskaudella 2012-13: Ykkösmaalivahtina puolalainen Bartosz Bialkowski, kakkosmaalivahdin paikasta kilvoitellet Kevin Pilkington ja Liam Mitchell. Puolustuspään pelaajina esiintyneet Julian kelly, Alan Sheehan, Dean Leacock, Tom Williams ja varalla Carl Regan. Keskikentällä häärineet eniten Neil Bishop, Gary Liddle, Jeff Hughes, Gavin Mahon, Jamal Campbell-Ryce (Jamaika), Joss Labadie ja Jordan Stewart. Luton-laina Andre Boucaud saanut peliaikaa myös. Hyökkäyskalustossa kunnostautuneita - Francois Zoko (Norsunluurannikko), Yoann Arquin (Ranska), Enoch Showunmi (Nigeria) ja edelleen veteraanipelaaja Lee Hughes. Norsunluurannikon lahja NottsC:lle - hyökkääjä Francois Zoko. Notts County neljättä kautta peräkkäin kolmannella sarjatasolla. Notts County viidettä kautta peräkkäin kolmannella sarjatasolla - putosi neljännelle sarjatasolle (League Two). Notts Countyn uusi vahvistus kesästä 2014 alkaen: Alan Smith ~ muistetaan: 1997-2004 Leeds ja 2004-07 ManU. Pysyi NottsC-paidassa syksyyn 2018 (released). Notts County pudonneena neljännellä sarjatasolla (League Two). Notts County toista peräkkäistä kautta neljännellä sarjatasolla (League Two): sijoitus heikohko 16/24. (12.1.2017): Notts Countyn uudeksi manageriksi nimettiin Kevin Nolan (League One). Notts Countyn uusi manageri tammikuusta 2017 alkaen: Kevin Nolan. Notts County kolmatta peräkkäistä kautta neljännellä sarjatasolla (League Two): sijoitus 5/24. Play-offs * nousukarsintoihin * coventry pudotti ensimmäisellä kierroksella yhteismaalein 2-5. (6.2.2018 * FA Cup): Notts County kohtasi F.A. Cupissa vielä Valioliigassa putoamiskurimuksessa olleen Swansean vieraskentällä - NottsC tuli tyrmätyksi 1-8! (Notts C * 6.2.2018): (mv) Adam Collin - Carl Dickinson, Richard Duffy, Shaun Brisley, Nicky Hunt, Matthew Virtue-Thick, Jorge Grant, Terry Hawkridge, Noor Husin (Rob Milsom), Lewis Alessandra (Jonathan Forte) ja Jon Stead (Alan Smith). Vaihdossa: (mv) Branislav Pindroch, Liam Noble, Liam Walker ja Shola Ameobi. Maali: Husin. Lainamiehet: Virtue-Thick (Liverpool) ja Grant (N.Forest). Manageri: Kevin Nolan. (h) Jonathan Forte ~ kesällä 2016 saapui NottsC-miehistöön (Oldham). (12.5.2018 * 1st play-off round * 1st leg): Coventry-Notts County 1-1. (Notts C * 12.5.2018): (mv) Adam Collin - Matt Tootle, Richard Duffy, Shaun Brisley, Elliott Hewitt, Dan Jones, Matthew Virtue-Thick (Lewis Alessandra), Jorge Grant, Liam Noble (Michael O'Connor), Jonathan Forte (Alan Smith) ja Jon Stead. Vaihdossa: (mv) Ross Fitzsimmons, Rob Milsom, Ben Hall ja Shola Ameobi. Maali: Forte. Lainamiehet: Hall (Brighton), Virtue-Thick (Liverpool) ja Grant (N.Forest). Manageri: Kevin Nolan. (18.5.2018 * 1st play-off round * 2nd leg): Ratkaisevassa karsintapelissä kotikentällä romahdus: Notts County-Coventry 1-4!. (Notts C * 18.5.2018): (mv) Adam Collin - Matt Tootle, Richard Duffy, Shaun Brisley, Elliott Hewitt, Dan Jones, Lewis Alessandra (Shola Ameobi), Jorge Grant, Liam Noble (Michael O'Connor), Jonathan Forte ja Jon Stead. Vaihdossa: (mv) Ross Fitzsimmons, Rob Milsom, Ben Hall, Matthew Virtue-Thick ja Alan Smith. Maali: Grant. Lainamiehet: Hall (Brighton), Virtue-Thick (Liverpool) ja Grant (N.Forest). Manageri: Kevin Nolan. (p) Richard Duffy ~ kesällä 2016 saapui NottsC-miehistöön (Port Vale). Notts County neljättä peräkkäistä kautta neljännellä sarjatasolla (League Two). (26.8.2018): Kevin Nolan sai potkut - Notts Countyn uusina managereina väliaikaisesti Steve Chettle ja Mark Crossley. (2.9.2018): Notts Countyn uusi manageri Harry Kewell. (23.11.2018): Notts Countyn uusi manageri Neal Ardley. Neil Ardley aloitti 23.11.2018 NottsC-managerina. Kuvassa neuvoja saa Jamie Turley (tullut: 18/9 * Newport).